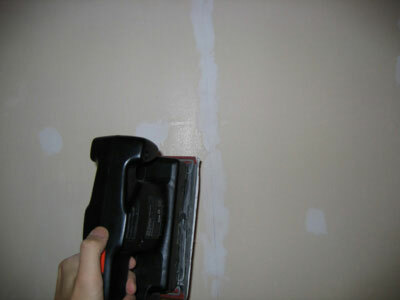 Anyways patching is fun when you’re applying the stuff, but not fun when you’re sanding. Partially because I’m a total amateur and globbed too much of the stuff on in some areas. So I started out with some Polyfix multipurpose surce filler. 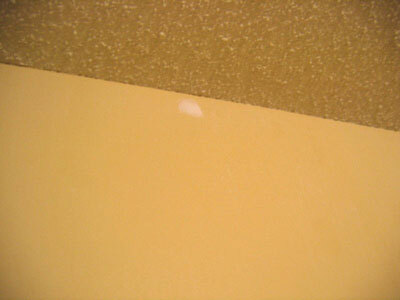 It’s basically a white goopy material that you smother into small holes and defects in your wall. It’s quick drying which is also nice. Taking a small amount at a time I basically went around the room applying the putty into the holes that were left behind by various nails, screws and fasteners. 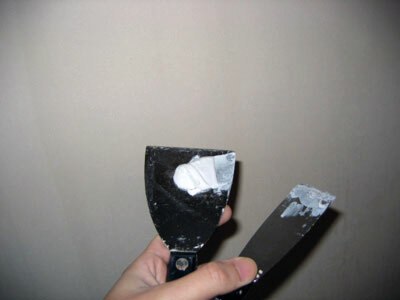 I was thinking I would fill the hole in with as much putty as possible and then I could just sand it off later. However this actually panned out to be far more time consuming. You want to make it as smooth as possible right from the get go. 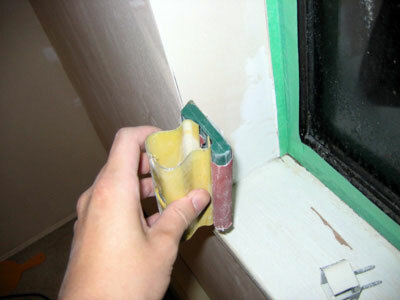 Don’t worry if there’s no putty overlapping from the hole onto the surrounding wall. I thought the dried putty might pop out like a cork so that’s why I put extra. This is completely unnecessary. After getting all the holes and various defects all patched up, you have to sand it smooth. I had some old sandpaper lying around that I was using to sand and it took forever. Not because of the grit of the paper but because of the type. I was using garnet paper initially and only realized partially through the process that it is not well suited to sanding filler and drywall. You need to use aluminum oxide paper. You can rough sand with a lower grit first to smooth down the wall and then progress to a higher grit for the finer sanding. 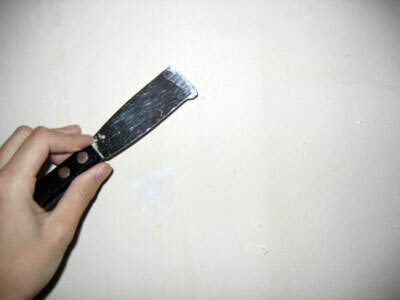 The smoother you get the wall the better the paint will look. Here’s a quicktime 360 view of my stripped and patched room.